Call Us Today for Membership Rates and Info! 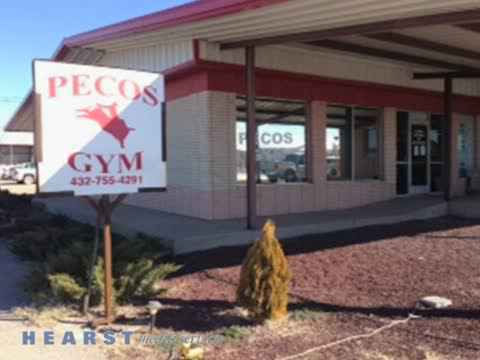 Come visit the only 24/7 gym in Pecos Texas, located at 1800 South Bickely Avenue on the Balmorhea highway, Pecos Gym/Family Fitness has been in operation since 2009, staff hours are 3pm to 9pm Mon-Fri. Members have 24 hour access 7 days a week. At Pecos Gym you will find all of the latest cardio and strength training equipment along with a wide selection of exercise programs that includes a circuit room with a wide selection of training equipment including dumb bells, leg press machines, free weights, a cardio room including treadmills, elliptical and stair master, as well as having a muscle endurance training and aerobics exercise programs. The most important aspect you will find at Pecos Gym is you will find an energetic supportive environment full of locals who are committed to helping you achieve whatever goal you set for yourself. Today more than ever, everyone is looking for a way to build up strength, endurance and having a better healthy life. Whatever your goals are, to be stronger, to have more endurance, to play with the kids, or kick the ball around the field, or run 5 miles today or tomorrow, we here at Pecos Gym are committed to your goal and recognize that everyone is different and works differently to achieve those goals. Here at Pecos Gym we will work with you to accomplish your short and long term goals; all we need is you, so call today to start your membership for a better you!